Epicurean Recipes brings thousands of great international recipes that includes recipes using brands like Campbell’s, Swanson®, Pace®, Prego® & Pepperidge Farm® – brands people love and trust, and use every day. 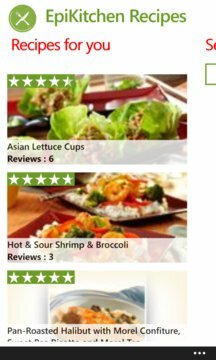 Search recipes using keywords, read reviews, see ratings and get step by step procedure on 'How to make that recipe' and get nutrition info on the products that are used in the recipe. You also get an 'Ingredient Tracker' which you can carry with you at the mall or shopping center while you are buying those. 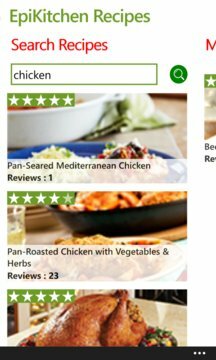 Add recipes to your favorite list and access them any time you want. The recipe also gives you the total time needed to prepare it and also the serving quantity. It's unique, clear User Interface will add the spice to your recipe making!